Today we are looking at the best metal or if you prefer and want to get technical about it, aluminium greenhouse retailers, but we know that most of us just call them metal greenhouses. Anyway we spent a lot of time on each of these sites so we could see who as the best selection and who offers the most user friendly experience. This is one very competitive list which was tough to put together, but by the end of this you will know who are the best metal greenhouse retailers and be on your way to growing some awesome vegetables and plants. or plastic greenhouses. We like this as it makes finding what you are wanting very easy. Not only do they have the best selection, but they are also the easiest site to use. They give great information and most of their greenhouses do have a few different pictures for you to look at and imagine how great your plants will look inside. more categories. Sure it may take a little time to click through them all, but the diversity in the greenhouses they offer is just incredible and we feel that it is well worth taking the time to look through them all. If you are a person who wants to take their time when it comes to purchasing their metal greenhouse, then you are going to have a lot of fun using this site. you will find the right kind of greenhouse for you right here. The site is easy to browse and we like how when you do find a greenhouse you like the look of and click on it, the information is not overwhelming, but it still tells you all you need to know as well as showing a few different photos as well. fancy, you can click on it and then choose what size you want. Some even have a set of different extras that can go with it, so you can have a little play around with the design if you wish. We really liked this site and feel that they do a great job in making it easy to understand exactly what each greenhouse is offering. we do feel each greenhouse could have benefited from a couple more pictures, Sheds.co.uk do have one of the easiest to follow descriptions of their greenhouses that we have ever seen. They break down all the need to know info into little chunks which makes it easy to understand. While they may not be ideal for those of you on a tight budget, those who only want to consider the best should make this one of the first sites they look at. mixed together which means you will have to click through multiple pages to see all they have. Now to be fair this is not all that much work, but when other sites make looking at their metal greenhouses that little bit more easier, we have to rank them higher. 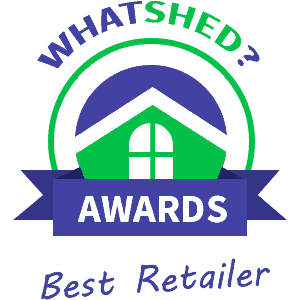 Two of the best things about Shed Store are their product information and their incredibly fast delivery times. Some greenhouses can be delivered to you in as little as two days. want to have to look through pages and pages of greenhouses that do not meet your needs. While the information that they give you about their greenhouses is great, we do feel that they could have used more photos to show them off and also a few extras on each page would not have hurt. This is Wickes after all and they have a ton of useful stuff that would go great with a greenhouse, so it is very surprising they do not show it off more. them all together, but this is something a couple other sites have done as well so we will not be too down on them for that. While they do not have lots of pictures for their greenhouses (as a matter of fact most only have one picture), the detail they give is just spot on as it gives you all the need to know info and is not too complex so even a person buying their first greenhouse would not be overwhelmed here. ones that do not. They also have detailed descriptions and most of the greenhouses they offer do have at least a couple of pictures. To be fair while this is number nine on our list, B&Q is still a fine metal greenhouse retailer that is worth a look. we like the selection, the way the site is easy to use and the fact they have an actual metal greenhouse section, but we must say the fact that they do not stock the products themselves makes us concerned that the delivery times could be rather lengthy. Also when it comes to customer service, Sheds World do not have the best reputation out there so be sure to make sure you have checked all the other sites before ordering here.